Kerby: Before and After, originally uploaded by calanan. 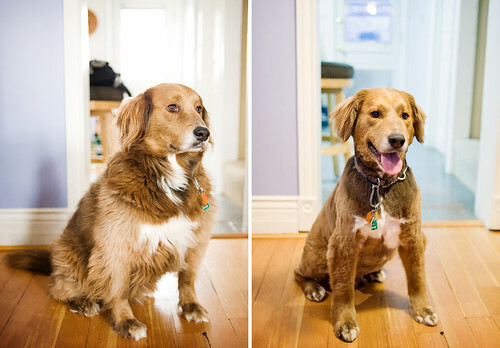 As promised (in this recent blog post), Kerby had his fur groomed today and here's his before/after. Man that dog was so happy when I picked him up! Haha! I love his expression in photo 1. It's like he's speaking through clenched teeth. Good looking dog Calanan... is he a Chesapeake Bay Retriever? His last groomer told us (based on his double coat that doesn't shed) that she thought he was a mix of flat-coat retriever and an Arctic dog, like a chow.